Trust-Based Marketing for solopreneurs and small business owners with Doren Aldana, an entrepreneur and marketing expert. Doren shares his interesting entrepreneurial journey, an introduction to Trust-Based Marketing, and other tips & advice to help us better connect with our clients and customers. 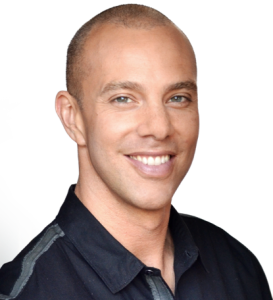 Doren is an entrepreneur, marketing & business coach, and he also specializes in Mortgage Business Marketing coaching. Since 2003, he has coached thousands of business owners to success and earning more while working less, using the power of trust-based marketing. He has been a business coach for over 13 years, and is the owner of two successful businesses. Doren has won the Best Industry Service Provider award 3 years in a row, and he commands top-level fees for his coaching services. In 2014 he launched True Trust Marketing and the Testimonial Engine. He lives in Kamloops, British Columbia, Canada with his family. His first business, while still in college, was with College Pro Painters. In 2005 he launched his Power of Choice Coaching business. He started in Life Coaching, but now focuses on Business Marketing Coaching. Doren explains the concept of Trust-Based Marketing for small business. Why focus on trust-based marketing, and does it make sense for my small business? He explains the fastest way to build Trust through Endorsements. He also explains why customers endorsement – or customer testimonials – are so powerful. Where should a small business owner start with building customer testimonials and how to attract 5-star rave reviews from happy customers. Doren introduces how to automate this process of developing endorsements from your customers. He explains the components of an effective review capture process and website page. Doren also shares his advice on social media for small business. Download your FREE The Ultimate Testimonial Toolkit.